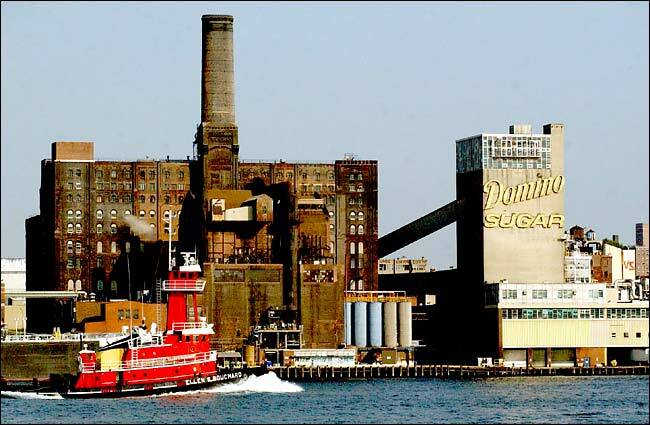 Jason Sheftell of The Daily News just reported that Two Trees may be purchasing the Domino Sugar Factory site on the Williamsburg waterfront. Of the very small handful of developers that could take on a project of this size – and I’m surprised I hadn’t thought of them before for this – the Walentas family/Two Trees is a natural. For one, they get Brooklyn. I often credit David Walentas for being the first developer to take the risk in BK and embrace “build it and they will come”. With One Main Street (Brooklyn’s first large scale luxury condo), Walentas proved that people will pay a whole lot more in Brooklyn than the neighborhood comps for something nicer. The Domino site is truly a great opportunity for a developer with vision to take what’s there and make it Brooklyn’s next transformative project.